In the final Reality Check episode (#208) with which I was involved, I presented a segment on whether or not the contraceptive pill influences women’s perceptions of potential partners. I’ve been interested in this question for a few years, ever since sharing an office with evolutionary psychologists at the University of Liverpool. Craig Roberts, whose work I cited a couple of times, was a lecturer there when I was doing my doctoral research. Anyway, on with the show! 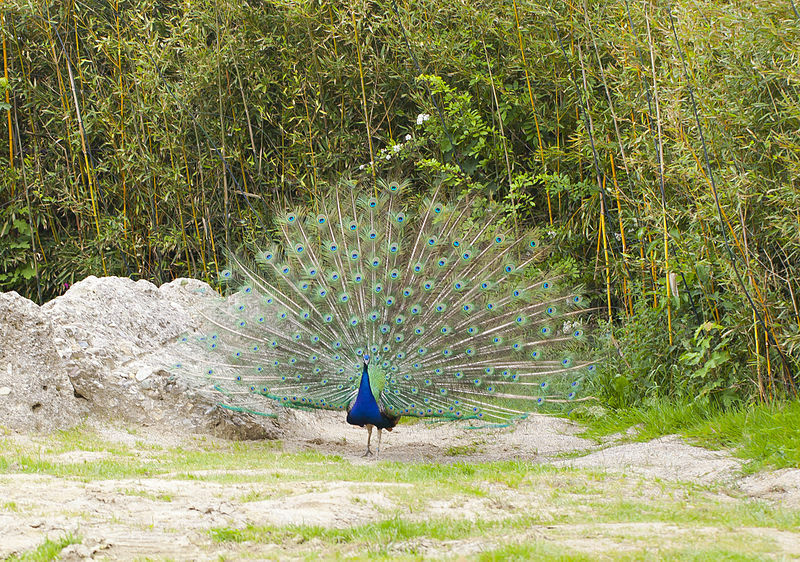 The peacock’s tail in this case is a sexual signal that females can use in order to choose between rival males. She is the fussy one because she is going to be putting all the effort into making a big, nutritious egg while the male is just making a few million tiny sperm. Different animals use different signals for this sexual selection, including elaborate plumage in birds, songs of birds and crickets, the construction of nests by bowerbirds, or the dances of birds and insects. Humans are no exception to this kind of sexual selection. It has been proposed that humans choose partners with all kinds of characteristics in mind. Some of these are visual cues such as height, skin tone, symmetry, or body mass index (or “BMI”). Some of these traits are auditory, such as depth of voice. There are also a range of what could be considered “cognitive” signals, such as creativity, which might indicate a high quality brain. Evolutionary psychologists who study these things often point to a correlation between the musical output of jazz musicians and the number of sexual partners that they report as evidence of this. These kinds of ideas have been explored in Geoffrey Miller’s book The Mating Mind. Like the bowerbirds, humans also signal their quality by creating an impressive environment around themselves. A study in 2000 even suggested that men display their cell phones in bars in an attempt to impress passing women. What we are interested in here, though are “olfactory” cues for mate choice – those that can be detected by smell. Just like a huge range of animals and plants, humans give off a scent that can be used (with a certain amount of error) to help choose between potential mates. I’m going to talk you through two studies which demonstrate some interesting aspects of this phenomenon, but first we need to briefly discuss the major histocompatibility complex (or “MHC”). This is a set of proteins that is responsible for presenting potentially foreign proteins to the body’s immune system. The more diverse your MHC genes are, the greater the range of proteins that can be presented to the immune system and, therefore, the more prepared your immune system will be for a potential invasion. You can maximise the MHC diversity of your offspring by reproducing with someone who has different MHC genes. Greater MHC diversity has been found in areas with high disease diversity, suggesting that this immune component evolves to suit local environments. By genotyping each of the men and women for their MHC genes, the authors were able to demonstrate that women preferred male scents from men who had different MHC genes, as we would expect if they are trying to find a mate who will help produce MHC-diverse offspring. The average score for MHC-dissimilar males was around 6 (so slightly pleasant), while the average for MHC similar males was around 4.5 (slightly unpleasant). The data clearly have a lot of noise, but on average the effect is there. So those results were for the women who were not taking the reproductive pill. However, when the researchers looked at females who were using the pill and those who were not, they found that the reproductive pill appeared to change the direction of this relationship, so now females were choosing males with more similar MHC genes. The average score for MHC-dissimilar males was around 4 (so slightly unpleasant), while the average for MHC similar males was around 6.5 (slightly pleasant). This result was supported by a similar study carried out in 2005 (Santos et al., 2005), although other studies have failed to find a correlation between MHC and female preference (Thornhill et al., 2003). These results can be interpreted in two ways: either humans are mating selectively to provide their offspring with an improved immune system, or human females are attempting to find dissimilar MHC complexes to avoid inbreeding (another study showed that people can detect kin based on smell, Roberts et al., 2005). So the first smelly t-shirt study looked at a snapshot of women who were adopting a certain birth control strategy and seemed to show an effect. But what about when women start or stop using the pill? Can we detect a change in their individual preferences depending on their use of the pill over time? A study carried out by Craig Roberts at Newcastle University in England, looked at the preferences of 97 women who were not using the reproductive pill (Roberts et al., 2008). They failed to find the correlation in the Swiss study. However, 37 of those women then initiated use of the pill and showed a significant shift towards a preference for similar MHC men. To give you an impression of the size of the effect here, women were rating on a scale of 1 to 7. Before starting to take the pill, women rated dissimilar MHC men 0.5 points higher than MHC similar men. After starting to take the pill, those same women switched to prefer MHC similar men by 0.2 points. This is perhaps the most speculative of the three studies. Researchers from the University of New Mexico studied 48 couples and found that women in couples with more similar MHC were less sexually responsive to their partners and cheated more on their partners (Garver-Apgar et al., 2006). Because of the complicated nature of the statistics in that paper, it is difficult to tease out effect sizes. So we have a couple of studies showing a weak but significant effect of the reproductive pill on female attractiveness judgements based on smell. The significance lies in the fact that the pill may be distorting female preferences so that they embark on what are ultimately unhappy relationships with partners. It is worth noting that other studies have not found a relationship between MHC similarity and scent attractiveness. 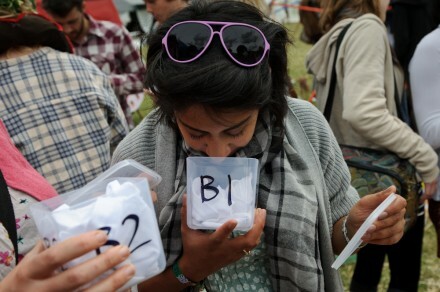 This is clearly a weak effect, even when we impose all kinds of experimental controls (the men had to avoid all other scents, t-shirts had to be worn for a couple of days, in the original study women were even given a copy of Patrick Suskind’s novel “Perfume” to heighten their awareness of scent perception prior to the experiment). These kinds of small effects can have a great deal of significance over long time periods, where gradual changes can accumulate, but it is fairly unlikely that you are going to produce sick kids because the pill was interfering with your mate choice preferences. These effects are only significant in the aggregate, and to state that the reproductive pill interferes with every individual’s mate choice would be to commit the ecological fallacy. Women do seem to be able to perceive differences in male immune genes through scent. The reproductive pill does seem to switch this relationship around so that women make “poor” mate choices (from an immunological perspective) when they are using the reproductive pill. MHC similarity seems to correlate with relationship success, so the pill may lead women into unhappy relationships. However, stating that increased divorce rates are the result of this effect is almost certainly bunk for a number of reasons: (i) we use a range of traits to evaluate attractiveness in addition to scent (although odour does seem to correlate with these other traits, Rikowski and Grammer, 1999), (ii) the effect might not even be detectable especially with our use of additional scents, (iii) most studies have been carried out in female university students, so it is unclear how generalisable the results are, and (iv) we need to beware the ecological fallacy where small effect sizes in the aggregate data are used to make specific predictions about individuals. Garver-Apgar, C.E., Gangestad, S.W, Thornhill, R., Miller, R.D. and Olp, J.J. (2006) Major Histocompatibility Complex Alleles, Sexual Responsivity, and Unfaithfulness in Romantic Couples, Psychological Science, 17: 830-835. Rikowski, A. & Grammer, K. 1999 Human body odour, symmetry and attractiveness. Proc. R. Soc. B 266, 869–874. Roberts, S.C., Gosling, L.M., Carter, V. and Petrie, M. (2008) MHC-correlated odour preferences in humans and the use of oral contraceptives, Proc. R. Soc. B 275, 2715-2722. Roberts, S. C., Gosling, L. M., Spector, T. D., Miller, P., Penn, D. J. & Petrie, M. 2005 Body odor similarity in non-cohabiting twins. Chem. Senses 30, 651–656. Santos, P.S.C., Schinemann, J.A.,Gabardo, J. and Bicalho, M.G. (2005) New evidence that the MHC influences odor perception in humans: a study with 58 Southern Brazilian students. Hormones and Behavior, 47: 384-388. Thornhill, R., Gangestad, S. W., Miller, R., Scheyd, G., McCullough, J. K. & Franklin, M. 2003 Major histocompatibility genes, symmetry and body scent attractiveness in men and women. Behav. Ecol. 14, 668–678.